This impressive life-size foam figure of Kratos from Sony’s upcoming God of War video game will stand guard in any room, from home to office to retail environments! After a decade of bestselling God of War games, it is a new beginning for Kratos. Living as a man outside the shadow of the gods, he ventures into the brutal Norse wilds with his son Atreus, fighting to fulfill a deeply personal quest. 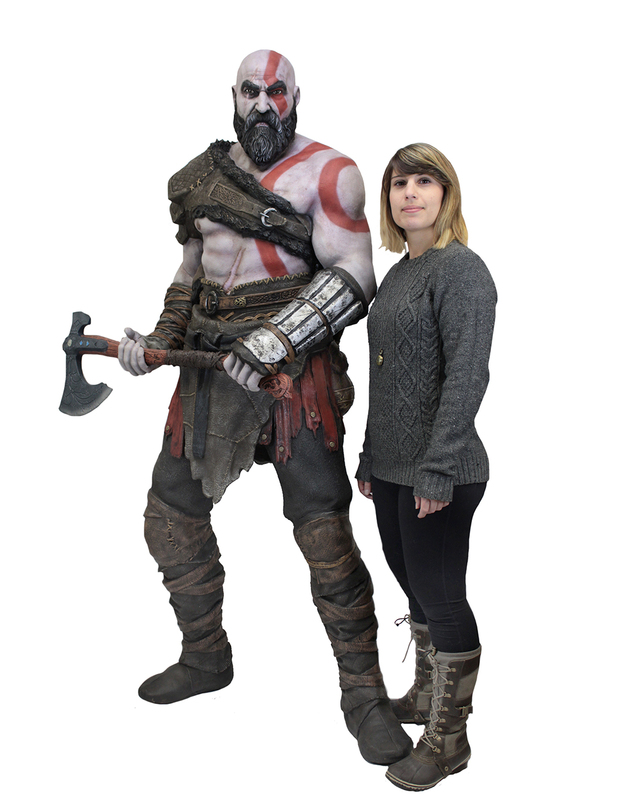 Based on the character’s in-game appearance, Kratos stands approximately 6’3” tall! The figure is made of foam rubber and latex that’s carefully hand-painted for realistic detail. Very simple assembly required; assembly and care instructions included. 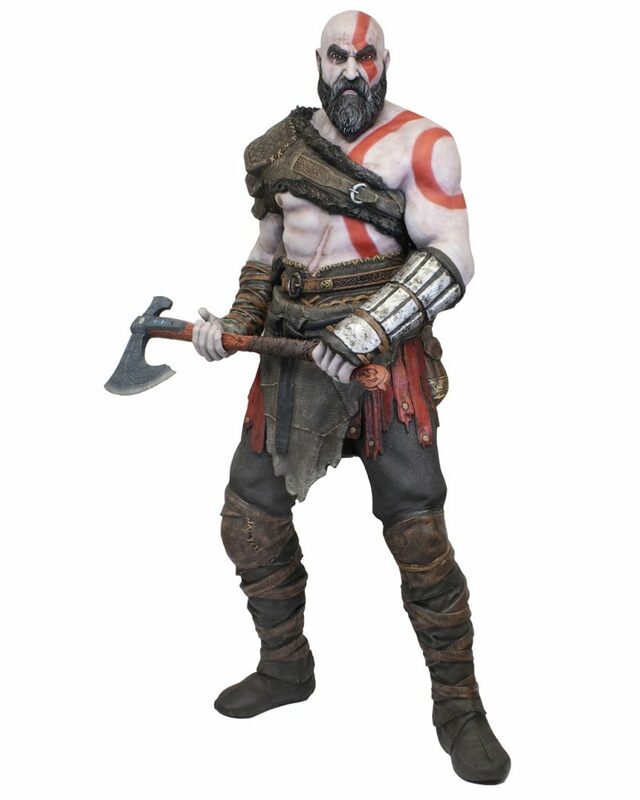 Shipping This Week – God of War (2018) Kratos Head Knocker!